The Israeli Ministry of Defense has reinstituted effective immediately the export license of Israeli drone maker Aeronautics Ltd., Aeronautics announced Monday in a filing to the Tel Aviv Stock Exchange. In August 2017, the ministry halted Aeronautics' license to export a loiter munition UAV system to an unnamed but prominent client, leading to a probe by Israeli Police and the Israel Securities Authority for suspected violations of the Israeli defense export controls law. 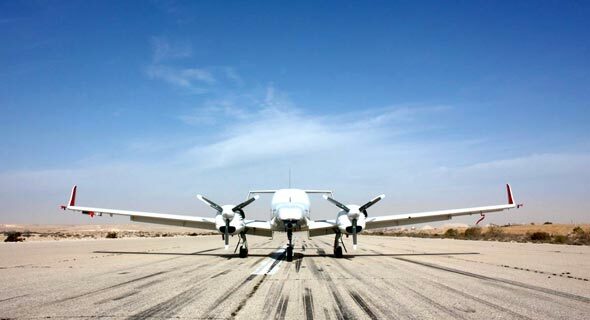 While the temporary suspension of the company's CEO and two other executives from the Israeli Defense Export Registrar is still in place, Aeronautics stated it can now resume supplying its products to the aforementioned client. In 2017, Aeronautics valued the blocked deal at $20 million. Aeronautics is currently up as much as 4.47% on the Tel Aviv Stock Exchange.